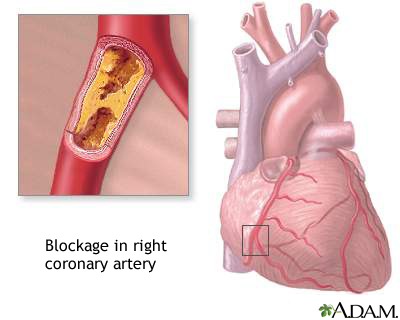 Atherosclerosis is a common disorder of the arteries. Fat, cholesterol, and other substances collect in the walls of arteries. Larger accumulations are called atheromas or plaque and can damage artery walls and block blood flow. Severely restricted blood flow in the heart muscle leads to symptoms such as chest pain.